Leverage Rational Functional Tester with Rational Quality Manager to record your manual test scripts in English natural language. Reuse test steps across multiple scripts via keywords and reduce human error thanks to assisted input data and comparison. 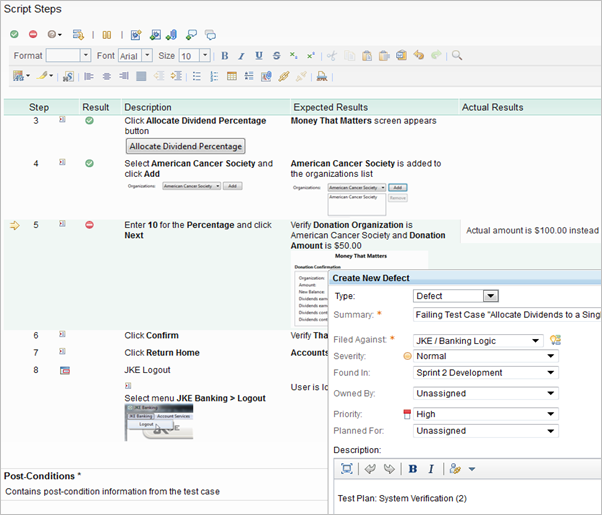 Run manual tests step by step, compare the actual behavior with the expected one, capture detailed test results and submit detailed defects linked to the test with just a few clicks.